1. During the Banksia sewalong, we showed you how to turn the Banksia top into a dress, and this is the same exact concept. 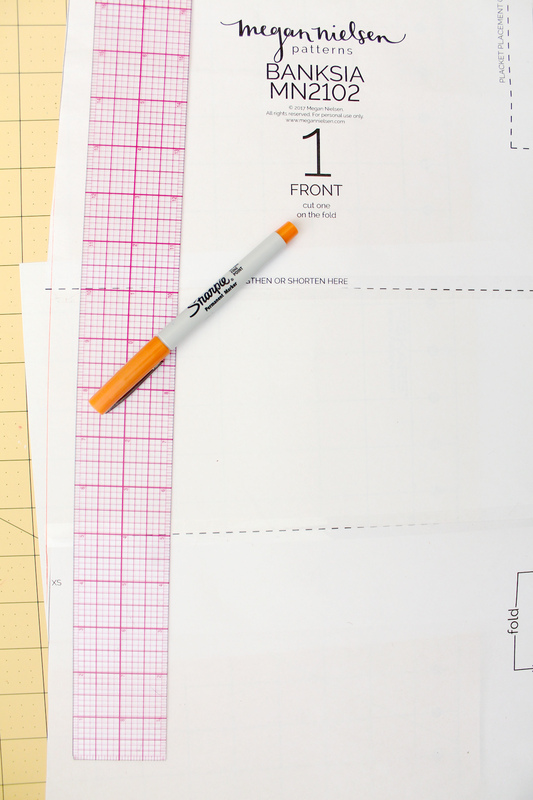 Start by slashing your front and back bodice pieces at the ‘shorten or lengthen’ line Place paper underneath, line up the center from/back edge, and add however much you need to make it tunic length. You probably want it to land right around your bum area. Don’t forget your seam allowance! For reference, I added a total of 5 inches. Tape the two pieces in place. 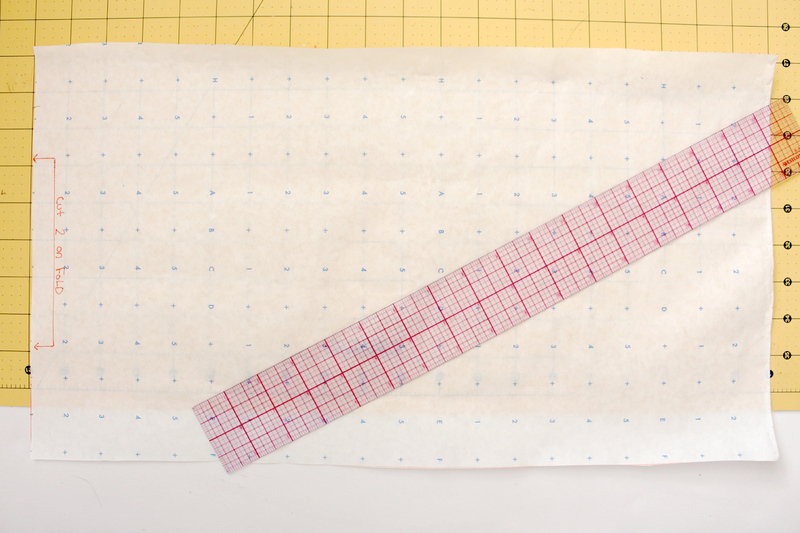 Re-draw your side seams with a straight ruler, and cut. Sew your Banksia top portion as directed by your booklet. 3. Once the top portion is completed, it’s time to add the skirt. Start by sewing the two rectangular pieces together at the side seams (I used french seams so it had a clean finish. Totally up to you). 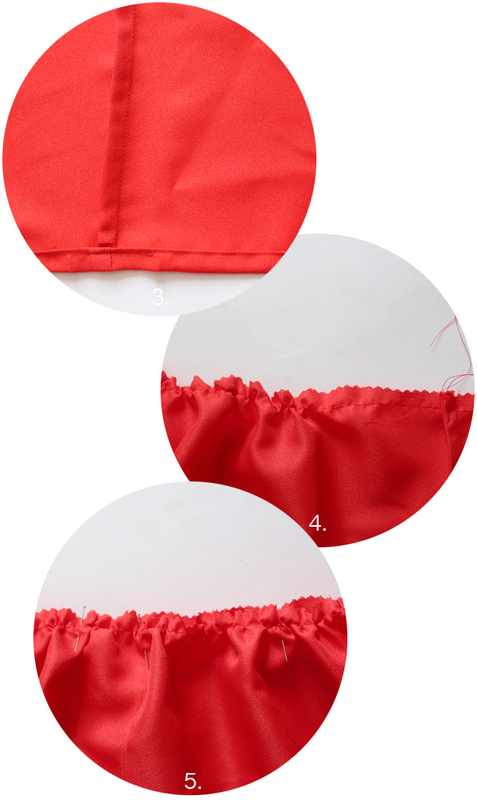 I also chose to hem the bottom edge next, but you can also save this until the very end. 4. 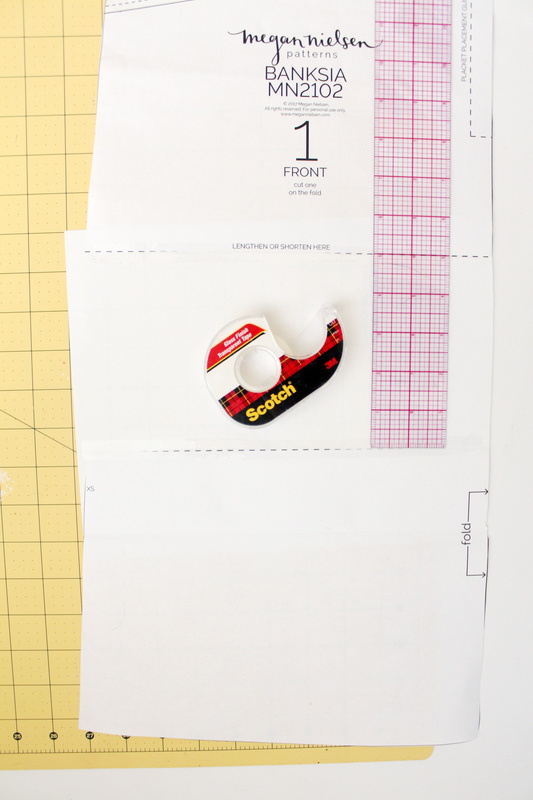 Sew a long basting stitch along the upper edge of your skirt, not backstitching, and leaving long threads at the end. Pull the thread to gather. 5. Gather until your skirt matches up with the hem of the top half. Pin and stitch. That’s it! 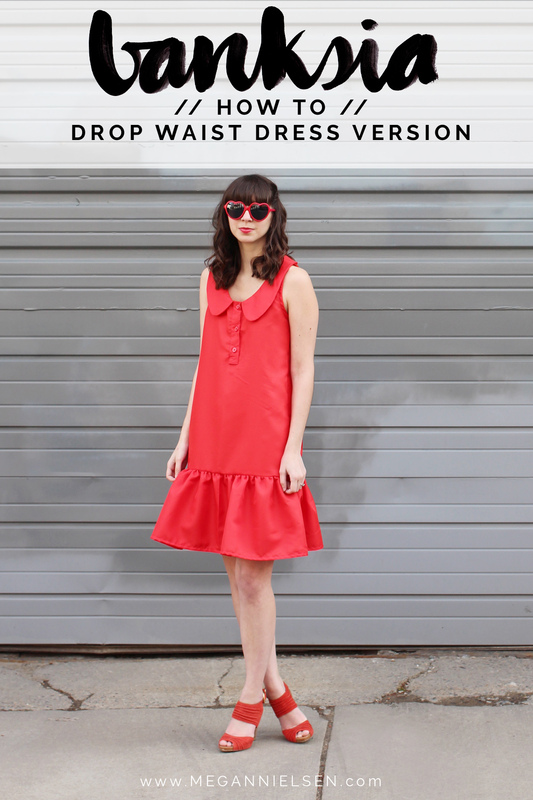 A drop waist Banskia dress! This same concept would apply if you wanted to make a dress with a gathered skirt at the natural waist too. 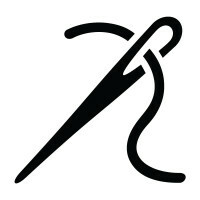 For that, you would trim the top shorter instead of extend it, and just make a longer skirt. This just gave me instant flashback to one of my favourite dresses when I was a wee girl – a jersey pastel-striped, drop-waisted dress from Clothkits. and you know what? I’m tempted to try this out in jersey and recreate my childhood favourite! Thanks for the inspiration! I think a jersey version would be fantastic! Please share if you do! So cute and fun! The color is gorgeous too. Thank you! When I was working out this variation, I couldn’t picture it any other color than red. It just seemed right! Definitely going on my sewing ‘to do’.